StreetXO is Mayfair’s most exciting addition to the London food scene. With its quirky decor and vibrant atmosphere, Chef Dabiz Muñoz delivers haute-cuisine “avant-garde”, creating a revolution to fine dining. The restaurant is made up of several levels, with the main dining area located down a golden staircase, leading into a dimly lit large basement room. This large space is lined with black and red lacquer, attractive neon lighting and an impressive open kitchen. We grabbed one of the coveted seats at the counter, which offer a full view of the kitchen and all the dishes being made by the chefs. We couldn’t wait to start our foodie experience! Since there were so many dishes on the menu which I wanted to try, I opted for a set menu, as this offered the chance to try a variety of the best dishes from the menu. Highlights from this menu included pekinese dumplings made of crunchy pig's ear, strawberry hoisin, alioli and pickles. This beautiful dish was created on the counter in front of us, from start to finish by the chef, which made it even more desirable! Next we tried one of the most innovative sandwiches I’ve had - the Steamed XO Club Sandwich filled with suckling pig, ricotta, quail egg and chilli mayonnaise. This dish thankfully only partly resembled a sandwich and tasted much better than one too! The quail egg added on top was an impressive and delectable touch! The next course was a salad, but as with most things at StreetXO, this was no ordinary salad. 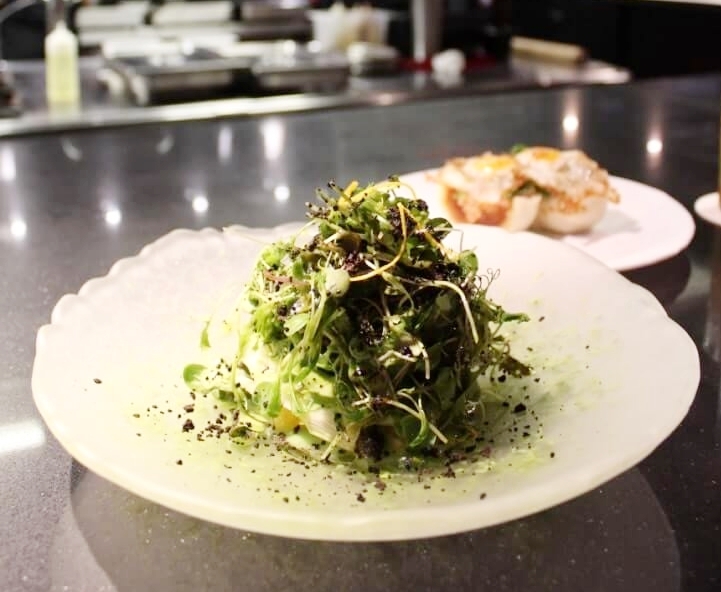 The green asparagus salad with green olive emulsion, oranges and spicy chlorophyll acidulated oil was served to share between two and didn’t take long to finish! The flavours in this dish were refreshing and acted as the perfect palate cleanser before the next course. The following course was one of my favourites, a robata-pigeon, tandoori cauliflower textures with garam masala pigeon jus, served with papadums and tamarind chutney. This was another beautifully presented dish which was also just the right portion size. The dessert of the day for us was an awe-inspiring creation. 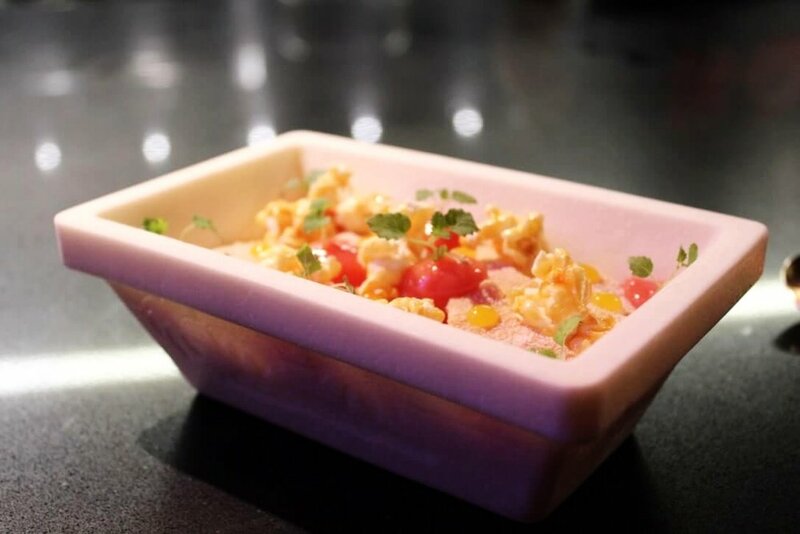 Served in a ice-box, the deconstructed strawberry cheesecake was full of asian flavours such as yuzu, which raised the dish it from a standard dessert to a spectacular one. This was also the perfect sweet note to finish the meal on. We also sampled a few of StreetXO’s cocktails on the bartenders recommendation, which were made with surprising combinations of ingredients but delivered delicious results! When dining at StreetXO I would recommend opting for one of the set menus, as this allows you to sample a variety of the best dishes. The Chef’s tasting menu is £100 per person for 9 dishes, which is well worth the price. For a smaller set menu, the degustation menu is £70 for less dishes. 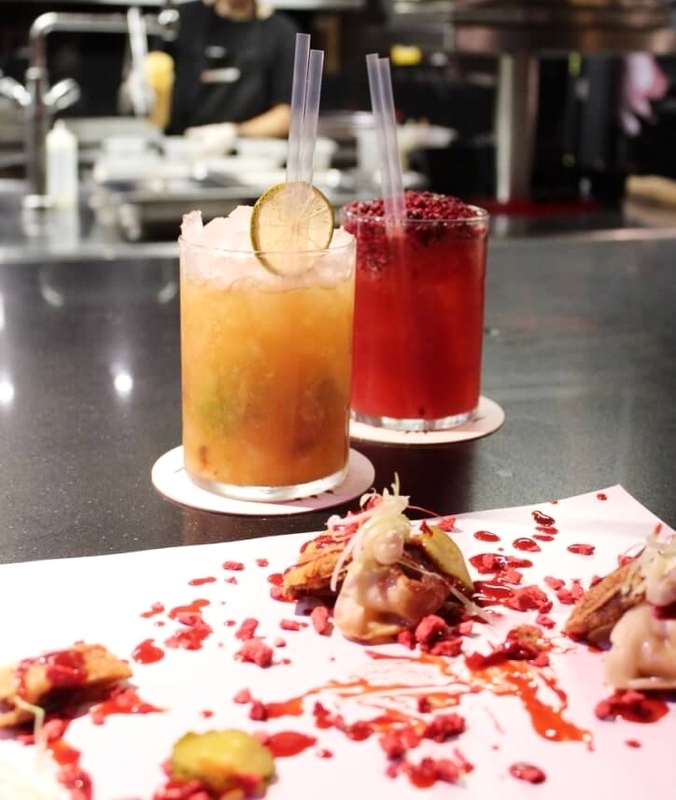 There is also the StreetXO express lunch menu which is a great way to enter Chef Dabiz Muñoz’s world and sense his creativity, priced at £25 per person and available 4 days a week from Tuesday to Friday. 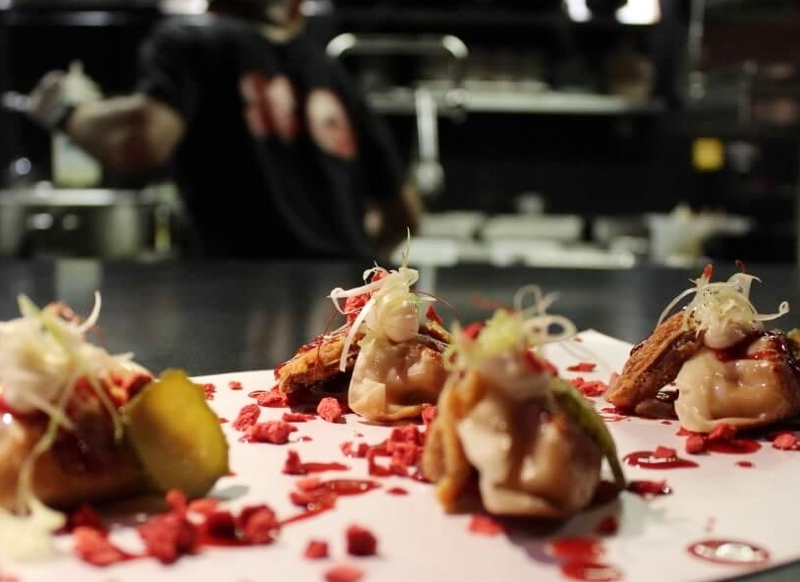 This is the perfect way to delve into the offerings at StreetXO. 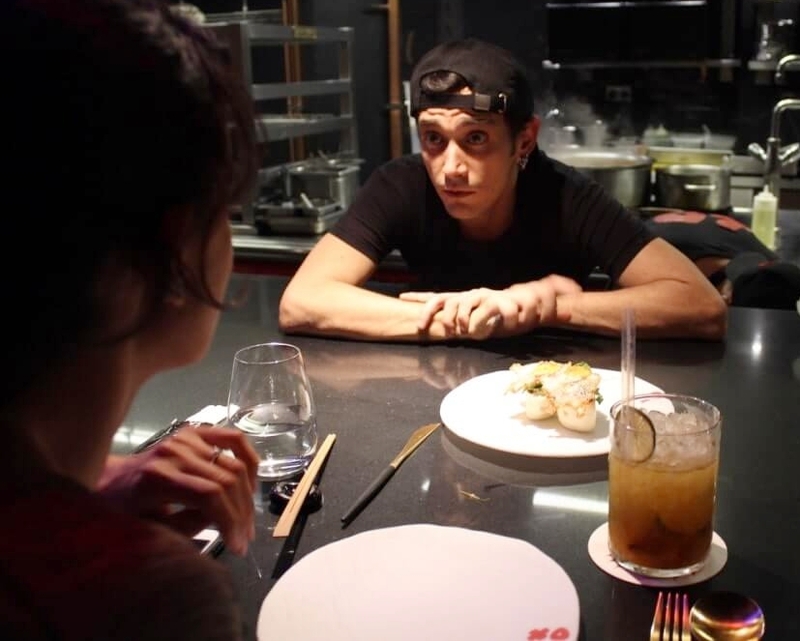 What I especially enjoyed about my experience at StreetXO was the expert manner in which every dish was explained to us, bringing us even closer to the process behind creating it. This added a unique personal touch which hasn’t been replicated to this level in London restaurants before. Dining at StreetXO is an experience every foodie has to try! The food is cooked spectacularly, served with style and tastes exemplary. There is no unnecessary grandiosity that can sometimes be found at high end restaurants, instead StreetXO puts the fun back into high-end dining. Special thanks to StreetXO for their hospitality!